The Gloster Gladiator (or Gloster SS.37) was a British-built biplane fighter. 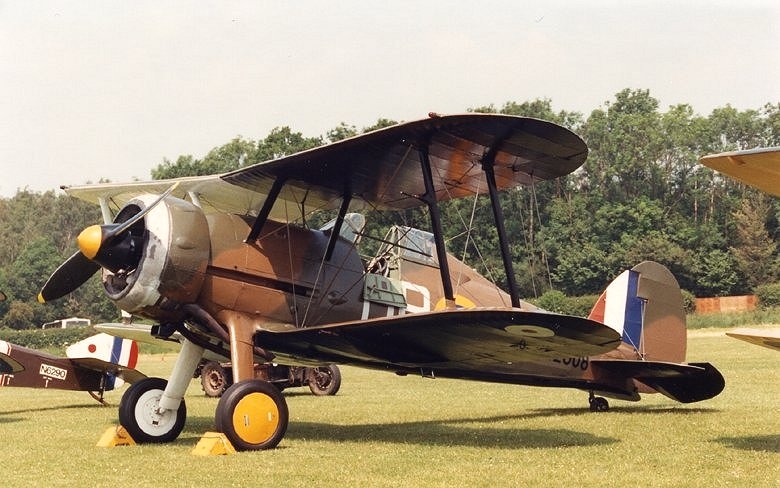 It was used by the Royal Air Force (RAF) and the Royal Navy (as the Sea Gladiator variant) and was exported to a number of other air forces during the late 1930s. It was the RAF's last biplane fighter aircraft and was rendered obsolete by newer monoplane designs even as it was being introduced. Though often pitted against more formidable foes during the early days of the Second World War, it acquitted itself reasonably well in combat.